Our mission statement simply says “Life is Good”. We implement it into everything that we do. Our main goal is to find the right gulet for you. We match your holiday expectations and wishes with the right gulet and suitable crew. We take all your wishes into careful consideration in order to provide you with the best gulet cruise experience ever. We put a lot of energy into the preparation of your holiday and organize all the details of your cruise before your arrival. We help you brainstorm the ideas and organize the best possible itinerary and cruise program for you in advance, prepare the crew for your arrival, and arrange all the gulet services according to your wishes and needs. We are also there for you during the cruise so we can resolve any potential issues you might have during your cruise right there on the spot. 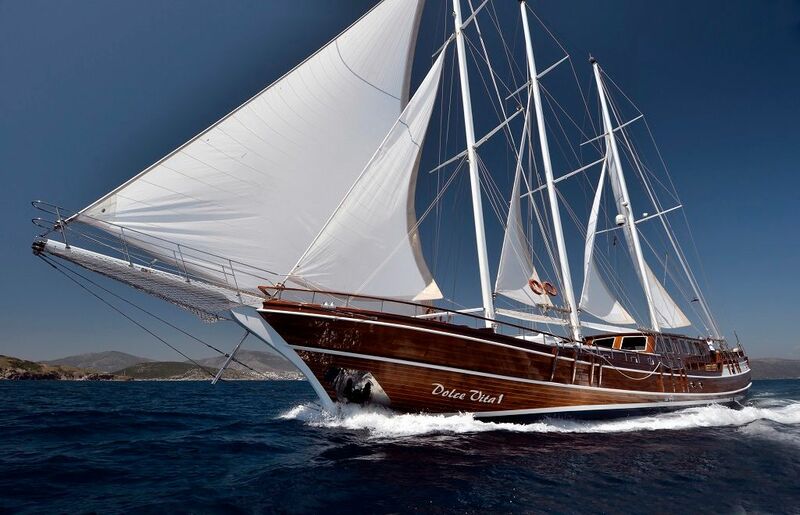 The agency behind Croatia Luxury Gulet is called Goolets. It was established in 2005 by Mitja Mirtič and his wife Alenka. We’ve been hooked on gulet cruises ever since our first cruise vacation and our goal is to provide you with the same experience we’ve had when enjoying our first gulet. We expanded our business by surrounding ourselves with like-minded individuals who share our passion for gulet cruises and love the Mediterranean. We hope to provide YOU with a most pleasant experience and help you organize the most amazing holiday. GOOLET cruise means planning your gulet cruise holidays in a way where you will have the best possible holiday ever – not leaving anything to chance. One of the benefits of our agency is that we are 100% specialized only for gulet cruises. This means that we can invest all our efforts only in gulet type ships. We help you with the gulet charter all the way through. First, we determine your wishes, needs, and expectations. We offer you first hand advises and get you the best possible gulet for you with the best possible deal. We take care of all the paperwork. You are issued an invoice for the cruise. Furthermore, we provide you with all the info about the cruise, routes, gulet crew and all the activities you might be interested in and arrange all the details of your cruise according to your desires in advance. And finally, when you are enjoying your cruise we are there for you 24/7 for any assistance you might need.